If you have a family history of periodontal disease or believe you’re at risk, it’s time to consider oral DNA testing. At Weishaar & Weber Dentistry, located in Spokane Valley, Washington, the professional dentists offer innovative oral DNA testing that screens for your risk of periodontal disease, the chance of progression, and what treatments may have the best results. When you want the best outcomes for your oral health, trust in science and the team at Weishaar & Weber Dentistry. Call today to schedule your appointment or book it online. An inflammatory condition, periodontal disease is a chronic bacterial infection that impacts the gums, tissues, and bones of your mouth. In its mild form, periodontal disease causes bleeding gums, which affect about half of all Americans. When progressed, periodontal disease destroys the attachment fibers and bones that support your teeth. When left untreated, periodontal disease can lead to tooth loss and chronic inflammation throughout the body. It’s also associated with diabetes, cardiovascular disease, and rheumatoid arthritis. At Weishaar & Weber Dentistry, your dentist uses oral DNA testing to help fight periodontal infections. These molecular tests allow you to find the specific treatment plan that works best for your periodontal disease. Using your saliva, your dentist painlessly takes a DNA sample. They give you a saline solution, which you swish in your mouth for 30 seconds. Your dentist instructs you to spit the liquid into a collection tube, which has a specific barcode. Your dentist sends it to the laboratory, and in about four business days, you get your results. What types of oral DNA testing are there? Your dentist offers two different tests. MyPerioPathⓇ tests for 11 different species of bacteria that are known to trigger periodontal disease. It also provides a risk analysis of disease progression and recommends appropriate antibiotic treatments. It’s the most commonly used oral DNA test. The MyPeriolDⓇ PSTⓇ test is used to detect DNA polymorphisms (genetic changes) that may increase your risk of developing periodontal disease or of it becoming chronic. If you’re at risk for other chronic conditions, such as heart attacks or strokes, appropriate care is taken to monitor your health and collaborate with your other physicians. If you think you’re at risk for periodontal disease or have already been diagnosed and want to find the best course of treatment for you, don’t wait to find help. 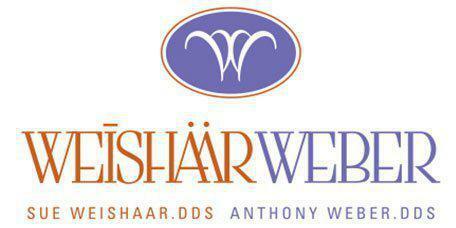 Contact Weishaar & Weber Dentistry today to schedule your initial consultation. Book online or call the office.